Here at Goodfellas Granite, we specialize in bringing you the best in high-quality granite countertops. We understand that choosing granite for new countertops or to replace existing ones can feel intimidating due to the multiple considerations involved. To help you through the process, we’ve prepared a brief overview of some essential granite information. Granite is a type of igneous rock that formed millions of years ago, hardening from molten slag. It primarily consists of the minerals quartz and feldspar. This is the geological definition; in commercial use, the term granite refers to a more broad collection of stones. Any stone that shares key characteristics (like strength and durability) with granite can be called a granite, even if the geological name is actually something else. So, while a stone’s technical name might be anorthosite, since it acts like granite, it’s a granite. Granite is sourced from many places, including Italy, India, and Brazil. It is quarried from the earth in large blocks, which are then sliced into slabs to make countertops. 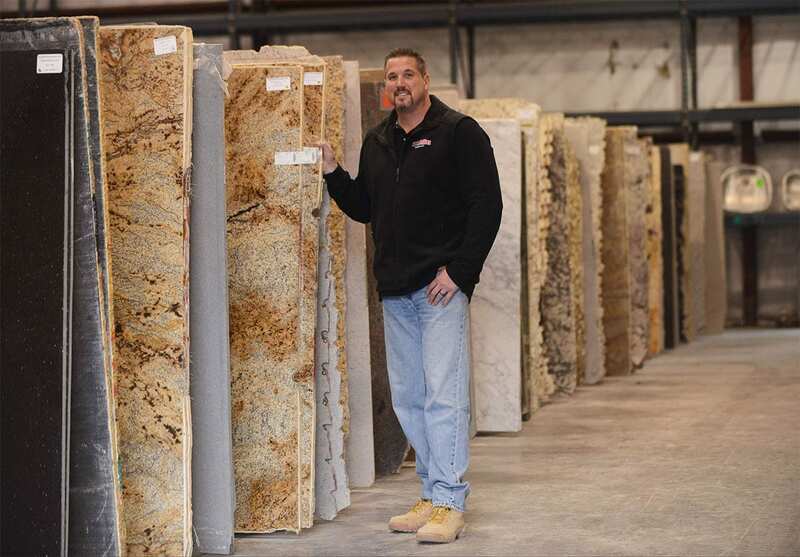 Some varieties of granite are only available from specific locations, and the cost of transport from that location will factor into the final price of your countertops. Granite is one of the hardest known materials, and is highly resistant to scratches. It will not be affected by citric acid, wine, tea, coffee, or other common sources of stains and damage to other materials. Granite is popular for kitchen countertops in particular because it is also extremely heat-resistant, making it an ideal choice for around the range or cooktop, as well as saving you the hassle of looking for a trivet every time you want to set down a hot pan. Also ideal for kitchens or bathrooms is its resistance to bacteria–although nothing is completely impervious to bacteria growth, granite is so easy to clean that what bacteria do grow can simply be wiped away. All in all, granite is a great investment for any home. If you want to know more about your options for granite countertops, call us at (484) 218-8184 to consult our team of experts, or visit us online at GoodfellasGraniteLLC.com.